Everyone whose been to the Cedar Rock Base Camp knows that fall in the Pisgah National Forest is one of the best possible times to be out there. The crisp temperatures and fall foliage make every day a delight for your senses. However, since the economic downturn of 2008, there hasn’t been enough activity to keep the base camp open past August. Yet, last year, with the efforts of the NCOBS staff and experiential education supporters, the calendar was fuller than ever! 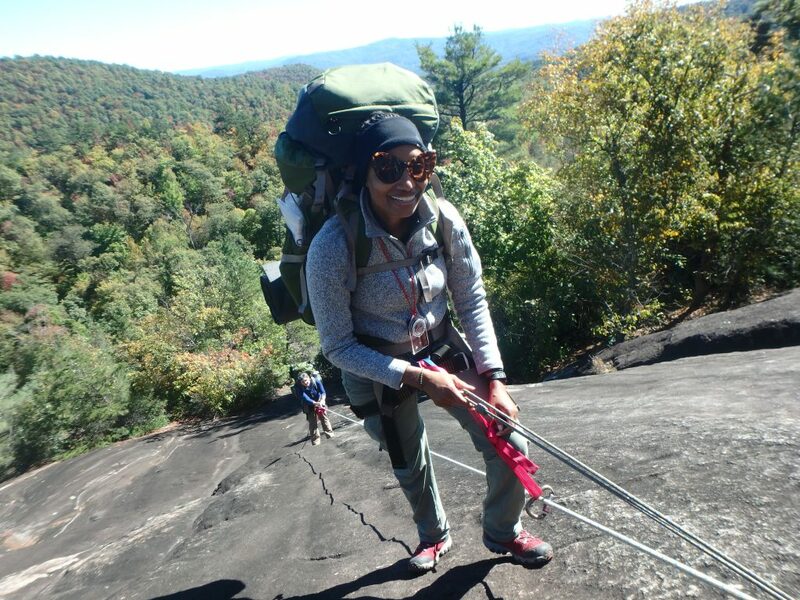 Outward Bound Classic-style courses generally take up the bulk of the summer calendar space. Because of that, shoulder-seasons, like Spring and Fall, are often open opportunities for new program ideas and clients. This year, with the help of endowment funding, we tested the proposition that school communities might want to take advantage of this time period for multiple short courses over long weekends in the fall. The short answer? They did! Over 130 students, teachers, and administrators from schools from Philadelphia down to Miami traveled to Cedar Rock Base for back-to-back “long weekend” courses. We also had 23 students from the UNC Masters in Teaching Program, and 30 teachers from the Educators Initiative Retreat, bringing the total to over 190 school community partners traveling to Cedar Rock for programming between September and November, closing out the season with a big, happy bang. The question of what constitutes as a “real” Outward Bound experience has long been debated at NCOBS and other Outward Bound schools around the world. 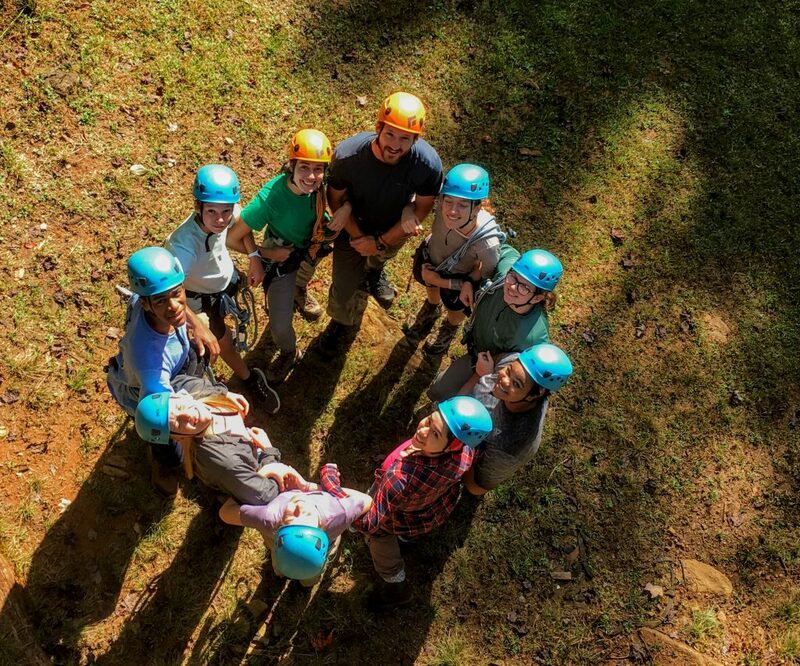 Is it a one-day team-building initiative in an office parking lot, a high ropes course in the inner-city, or a 28+ day wilderness experience? Or, is it not about the where, or how long, but about the actual lessons learned through challenge? The Cedar Rock Initiative, allowed NCOBS to field test short (four-to five-day) programs built around principles of “learning how to be learners again.” These programs are built on direct experiences, such as, using communication and teamwork skills to climb a rock face, followed by time to reflect and discuss the “what happened back there, and how do we support that in our school communities?” The final activity for most of the courses is one borrowed from the Outward Bound Professional Program—the building of a complex tensioned Tyrolean as a team. Working together, teams had to figure out how to set up a network of ropes and pulleys to pull one another from one side of a pond to another. Often this initiative showcases that sometimes the quiet voices in a group being ignored are the ones with the right idea and the importance of making space for those voices and/or learning to speak up. Based on the consistent glowing reviews, this was a REAL Outward Bound experience. An experience we look forward to continuing in 2019! The Cedar Rock Initiative will continue to offer big experiences in small packages in the shoulder season of the year. A big thanks to goes to all the office, base camp and field staff who worked to support the project, as well as our partner schools who participated this year. MAST Academy, Key Biscayne FL. If you would like more information about our Educator Programs, please contact, Richard Blomgren, rblomgren@ncobs.org. School leaders wishing to discuss details of this further are also welcome to contact NCOBS Education Director Dr. Gordon Grant at 828 239 2130, C: 828 713 7267, email: ggrant@ncobs.org.